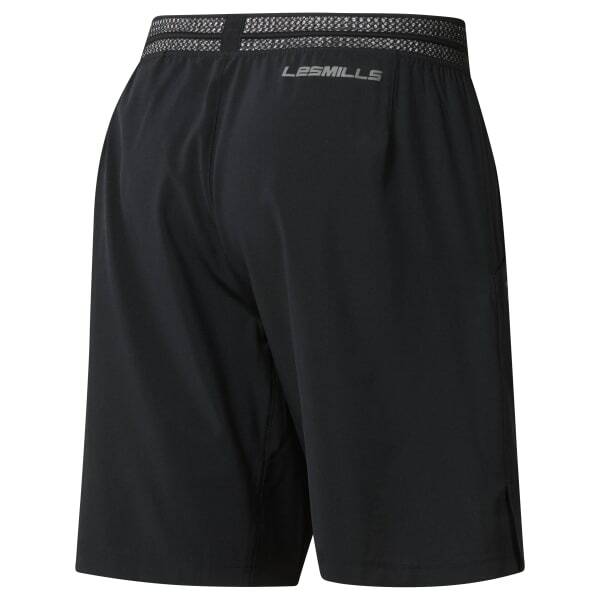 Grab these 4-way stretch LES MILLS™ men's shorts for your next total-body workout. 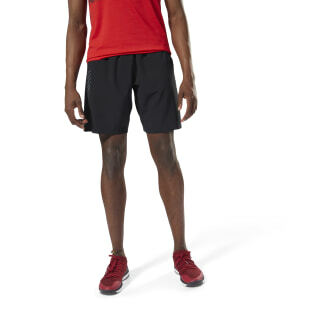 The zoned gusset grants mobility for dynamic moves, and an elasticated waistband helps secure the fit. As the reps build up, Speedwick technology wicks moisture.